After you have, made up your mind to move abroad for the purpose of study or work in a foreign country, the next best consideration is to learn the English language which is used there. You have to prove your competence in this language only after which the government considers you smart enough to allow immigration or education to you. You might have funds, but without the knowledge of this language, you can’t be approved to go abroad. The most initial step of moving abroad to be taken by you is to grasp all the nuances of this language. You have the strongest support system available to you when you know English. As an international student, when all the major study destinations are offering education in English, it’s extremely mandatory to know this language. You won’t be able to get part-time and full-time jobs in your nation of study/immigration without knowing English. Moreover, no matter the reason for which you need to visit a foreign land, without English your life there is hampered every day. The knowledge of this language is paramount right from the time you are at the foreign airport to the time you land up. This test of IELTS is crucial because the employer gets to know whether you will able to communicate with the fellow employees as well or not. Any kind of lack of knowledge on your part ensures that no one will hire you because hiring you means obstructing communications in the company. And once no employer wants to hire you, no country will give you permission to get a PR there. All the jobs abroad ask for a score in IELTS, so without it, you cant be hired abroad. You will be rejected at the initial stage only by IRCC(Canada immigration authority )and DBP(immigration authority for Australia). English also helps you to have a better stay in countries such as Australia or Canada. You understand the culture and how the countries function. The immigrant can get the right information, of what is happening around him, by knowing the language. Without any knowledge, he is completely unaware of his environment. PTE Academic is another test besides IELTS, which helps universities and employers assess your applicability. The results of this test are yielded within 5 days due to which the candidates can submit their test results with the visa applications so fast. Since this test does not involve, any kind of evaluation by humans, you can be assured of complete neutrality. The test involves high technology which involves using biometrics including scanning of your palms for getting your fingerprints prior to the test. CCTVs are also installed in test centers to prevent cheating. Since this kind of test does not involve any kind of cheating and hence only those users with good English proficiency get good marks. Same is the case with IELTS where scores are also generated through objective type and simple questions, hence no scope exists for human errors. So, learn English, give IELTS/PTE academic and get settled in a country where you will have no hindrance in being accepted for immigration/education. 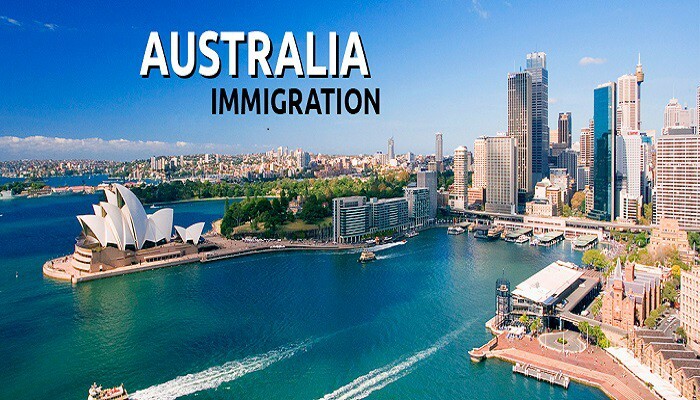 Australian immigration, Canada immigration Australia immigration, Canada Immigration. permalink.